Fire industry expert, Gent by Honeywell has supplied an aspirating smoke detection system to the Camden Islington NHS Foundation Trust. It was designed and installed by long-time Gent elite system integrator Premier Fire Systems Limited. The new solution replaced the existing optical smoke detection devices within two mental health wards within the Highgate Mental Health Centre in Dartmouth Park Hill, London. According to Simon Ford, Contracts Manager, Premier Fire Systems Limited, a new system was needed within the patient accommodation rooms. 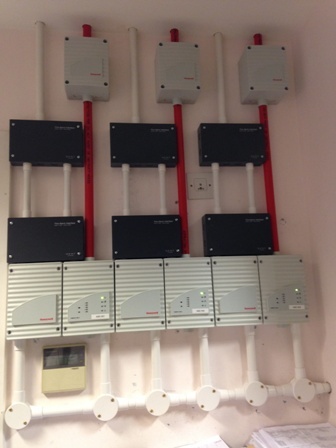 We selected the Gent by Honeywell Compact Aspirating Smoke Detection (ASD) units, powered by EN54 power supply units. The Compact ASD units are able to detect fires quickly, faster than point or beam smoke detectors. This often occurs before smoke is even visible, which provides users with valuable prevention time before an open fire can develop. These units are particularly well suited for use in high risk applications, such as medical facilities. The ASD devices were fitted within nurse stations and then connected to the hospitals existing Gent Vigilon Fire Network using new addressable four channel interfaces, says Simon Ford. Premier Fire Systems Limited worked closely with hospital ward managers and staff during implementation to keep the impact of work on patients to a minimum. Weve had some really positive feedback from the client regarding the implementation and the system, and were hoping that this serves as a pilot for a potential roll out to other wards and hospitals, concludes Simon Ford. For more information about Honeywell, please visit their website.